A screenwriter pays a ghastly price for inspiration - and begs for more. A director looking for fresh-faced talent finds more than he bargained for. A legendary diva will sacrifice anything for fame and glory. A TV personality discovers the twisted truth behind his co-star's impossible celebrity scoops. A bizarre film by an unknown writer brings bloody chaos to everyone who screens it. A mailroom clerk finds out just what kind of guts it takes to become a top talent agent. Vampiric producers, ghostly actors, psychotic limousine drivers, murderous stunt men and more haunt the streets and back lots of Hollywood in twenty original horror and suspense stories set in the heart of show business, and written by veteran movie and television professionals who went through Hell and back to bring you these tales. Interesting read...Horror with a Hollywood twist. Welcome back to Hellywood!! 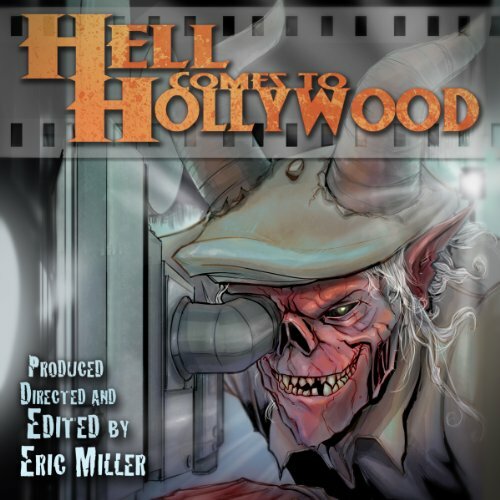 Hell Comes to Hollywood II features 22 short horror fiction stories, all set in the entertainment industry, and written by actors, screenwriters, producers, and other Hollywood-connected scribes. The audiobook contains the Bram Stoker Award-nominated stories "Hot Tub" by Hal Bodner, and "Dreams of a little Suicide" by Eric J. Guignard.